Last week on DC’s Legends of Tomorrow, history mixed with legend as the team visited King Arthur’s court in Camelot to find a piece of the Spear of Destiny, after Damian Darhk (Neal McDonough) killed Dr. Mid-Nite (Kwesi Ameyaw) for a different piece. Evil Rip (Arthur Darvill) took over King Arthur (Nils Hognestad) and his army’s minds to fight to the death. He said Arthur will kill himself if they don’t. 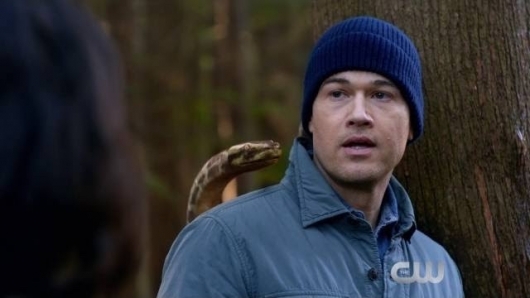 Although Nate’s (Nick Zano) book said Ray (Brandon Routh) will die, Ray didn’t care. He still wanted to fight. While half of them fought, the other half tried to control the army, but it was Mick (Dominic Purcell) who was able to break the brain spell. They captured Rip. 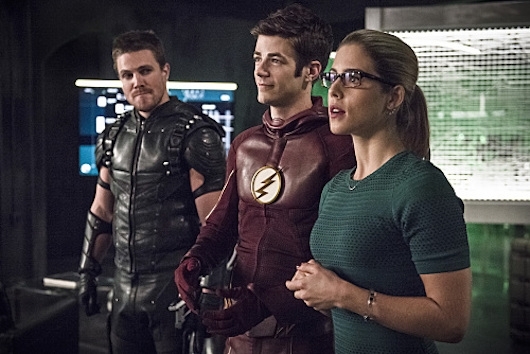 Last week on The Flash, Barry (Grant Gustin) was in family heaven… at first. His parents were alive and happy. There was another Flash running around, so he didn’t have to be the hero anymore. He still worked at the CCPD. He soon realized other things were awry. Joe West (Jesse L. Martin) was a drunk and unreliable, and didn’t like him. He didn’t even know Iris (Candice Patton), but he was confident he could get back into her life. Soon, Kid Flash (Keiynan Lonsdale), Iris, and Barry come out to each other because they need to team up. They go to Cisco (Carlos Valdes), the richest man in America. Barry kidnaps Caitlin (Danielle Panabaker), who is an opthamologist, to help (she does help a bit too). In the end, Barry decided to take Reverse Flash (whom he imprisoned) back to kill his mother and return him to his timeline. But even that had consequences. Spoilers below for episode 3.2! When we last saw our band of heroes in the fall finale of Once Upon A Time, they had just been spared being sent to the Underworld so all the Dark Ones could live topside. Emma (Jennifer Morrison) decided to sacrifice herself for all of them. Then Hook (Colin O’Donoghue) decided to sacrifice himself for her. Gold (Robert Carlyle) became a super-sized Dark One again. 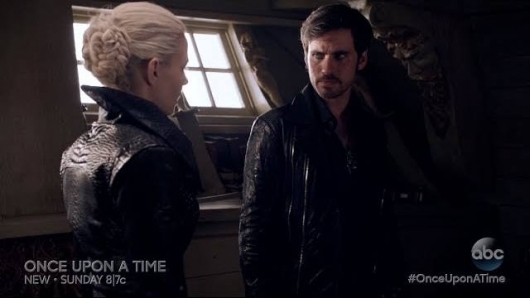 Emma figured that out and blackmailed him into helping her rescue Hook. The whole family voluntarily comes along for the fun-filled Hell vacation. Two weeks ago on The Flash, Grodd was back, using his mind to bend people to his will. His goal? To make more Grodds. He mind controls Caitlin (Danielle Panabaker) but doesn’t want to hurt her. he remembers how kind she was. They get Earth-2 Wells (Tom Cavanagh) to pretend to be dead Wells, with Cisco’s (Carlos Valdes) help, whom Grodd saw as a father. Earth-2 Wells did have a real answer. There is a Grodd habitat on Earth-2, and they send him there. The other theme is father-son relationships. Barry (Grant Gustin) is having a lot of doubt in himself, so Iris (Candice Patton) calls in his real dad (John Wesley Shipp) for the sage Rocky speech that the first Wells used to do when Barry was doing Flash-y stuff. Beware! Spoilers for “Legends of Today” below. Last week on Once Upon A Time, there were a few reveals. A long long time ago, The Dark One of that time killed Merlin’s (Elliot Knight) love, and turned him into a tree using his heartbreak tear. All this Emma (Jennifer Morrison) sees through her Dreamcatcher in flashback Camelot, alerting Regina (Lana Parilla), who decides to relive her Daniel/Cora heartbreak. Unfortunately (or fortunately) that break is too healed to be effective. Violet rejects Henry (Jared Gilmore), but we (and Henry and Robin and Regina) found out that Emma took Violet’s heart and made her do it, to capture a genuine tear from Henry. She did break the spell that was on her parents, so bad mother/good daughter. Merida (Amy Manson) is trying to teach Rumple (Robert Carlyle) to be brave so he can be the hero that pulls the sword from the stone. Spoilers from tonight’s episode below. Last week on Once Upon A Time, the story alternated between current day Storybrooke and 6 weeks ago Camelot. Nobody kows what happened but the dramatic irony is unfolding for the viewers. In Camelot, Emma (Jennifer Morrison) gives Regina (Lana Parilla) the Dark One’s knife for safekeeping, and she claims to be the savior they have been waiting for to free Merlin from the tree. Percival finds out the truth and tries to kill Regina, but is stopped and killed by David (Josh Dallas) at the ball. In Storybrooke, Robin (Sean Maguire) is carried away by a Fury as a death payment for the Underworld, but don’t worry. He is saved at the last minute. Hooray! My favorite night in television came speeding back yesterday! 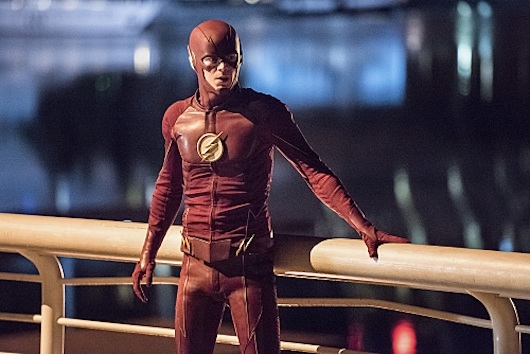 The Flash returned Tuesday night, and was just how I remembered – fun, fast, and funny. 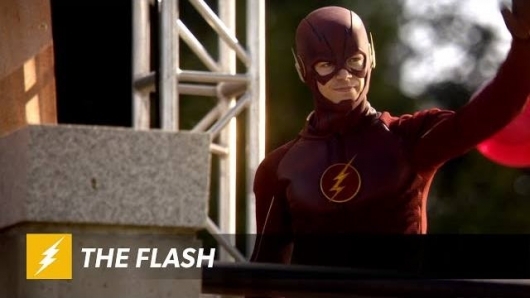 This Arrow spinoff began last year with Barry Allen (Grant Gustin) – a skinny, get-sand-kicked-in-your-face kinda guy, a genius lab rat for the CCPD, whose mother was murdered when he was a boy, and his dad wrongly jailed for it. One night, S.T.A.R. Labs particle accelerator exploded during its unveiling, causing the creation of Metahumans, people infused with extraordinary, and very specific power. Barry was struck by lightning dropping him into a 9-month coma. When he woke up, he was The Flash (sans costume at first). He began to work with Dr. Wells (Tom Cavanagh) and his team, Cisco and Caitlin (Carlos Valdes and Danielle Panabaker), to defeat Metahumans (because they were, for the most part, evil). His dad’s friend, Detective West (Jesse L. Martin) had taken him in as a boy, and he grew up with his daughter Iris (Candice Patton), and nurses a secret crush and a secret superhero identity. The season saw the identity of his mother’s murderer, and the selfless death of Iris’s boyfriend, Eddie (Rick Cosnett). Tons of spoilers. The episode was great. I was giddy throughout. So freakin’ good! 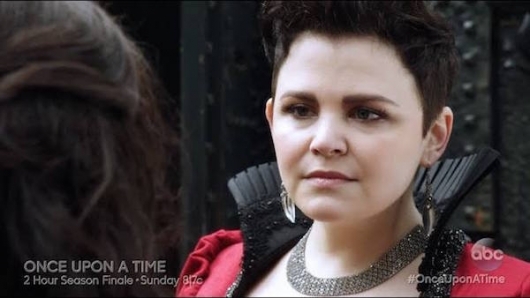 Last week on Once Upon A Time, Emma (Jennifer Morrison) managed to get a vengeful Lily (Agnes Bruckner) back to Storybrooke to meet her mother, Maleficent (Kristin Bauer van Straten), who lost her taste in revenge and now wants to just be happy with her daughter. After Lily “dragons” out, she finally agreeas to give Maleficent a week. The episode title was “Mother” so Emma forgave hers (and her dad) for what they did to Lily to ensure her own goodness. And we were treated to a backstory with Cora (Barbara Hershey), who seemed like she wanted to make up for what she did to Regina (Lana Parilla). That didn’t really work out. Last week’s Once Upon A Time went into Cruela De Vil’s (Victoria Smurfit) history. At first we thought her a victim of her mother’s cruel imprisonment. We were fooled and so was the author. That was the twist I mentioned last week. The entire time we were completely taken in. That’s the way of fairy tales, no? The beautiful damsel with the terrible life is a victim of cruel yet uglier people. After giving her the power to control animals, he countered her cruelty by rendering her unable to take a life. 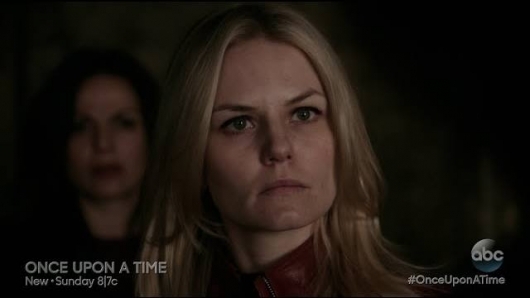 Emma (Jennifer Morrison), not knowing that, was orchestrated into killing her, in order to save Henry. Regina (Lana Parilla) grabbed heart leverage in order to be able to save Robin (Sean Maguire) without Gold (Robert Carlyle) sending out a warning.